Human life is precious as it is possible to experience the presence of GOD only in this mortal form. The GOD who is often searched outside in temples, mosques and churches actually resides inside the human being. This is the only fact which makes human life supreme and precious. 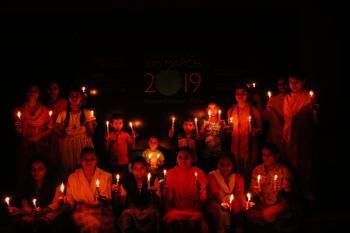 While managing our daily chores, we lose connection with that SUPREME BEING, and knowingly or unknowingly, fill our lives with negativity leading to physical and mental turmoil. 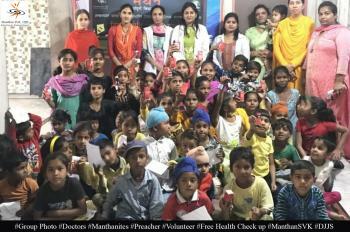 To establish that connection is the sole purpose and goal of our life which in turn makes our life balanced to do daily chores in much efficient way without getting stressed. 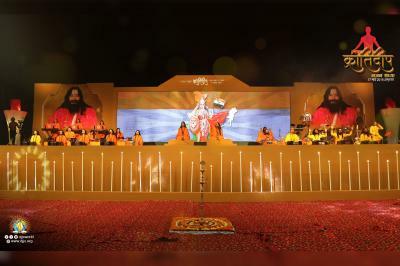 Only a few lucky ones get that chance to realize that Supreme Power within, and make the life worth living for. .
To awaken this purpose of life, Divya Jyoti Jagrati Sansthan (DJJS) - a non-profit, non-government and spiritual organization, headed and founded by His Holiness Shri Ashutosh Maharaj Ji, organized a devotional concert named ‘Suro Ka Saras Vaibhav’ at Hotel The Opal, Rampur, Uttar Pradesh on 18th Nov’2015. 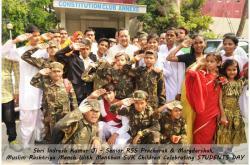 The programme was presided over by disciple preacher of Shri Maharaj Ji “Sadhvi Ruchika Bharti Ji’ and adorned by some eminent personalities including Jaipal Singh (EDUCATION MINISTER, MANDAL STAR and Naresh Singhal (HOTEL THE OPAL , M.D.). 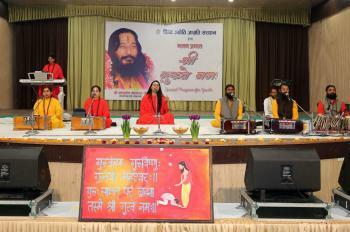 The programme started with the singing of Bhajans by the Devotees of Gurudev Shri Ashutosh Maharaj Ji. This created the prefect platform for the mind of the listener to be ready and receptive for the spiritual discourses to be followed. 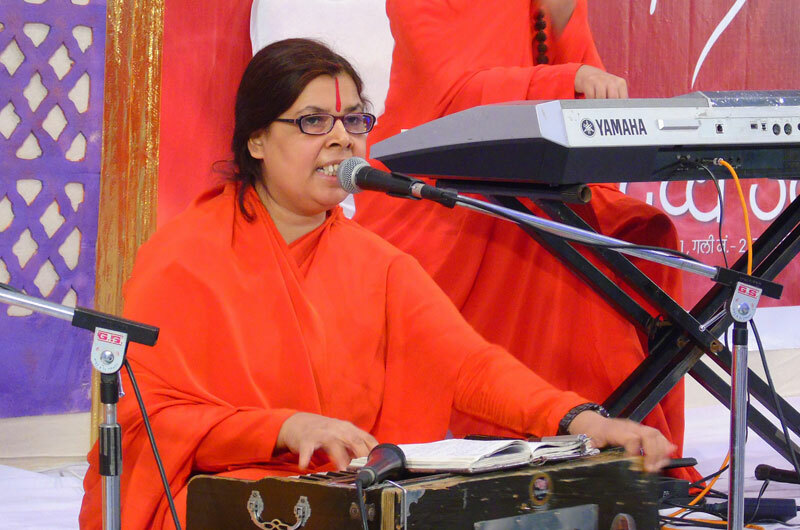 The preachers further explained the meaning of Bhava (inner feeling) which is the quintessence (purest and most perfect form) of Bhajan singing. 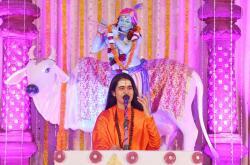 The essence of Bhakti and Devotion is expressed through Bhava (inner feeling). 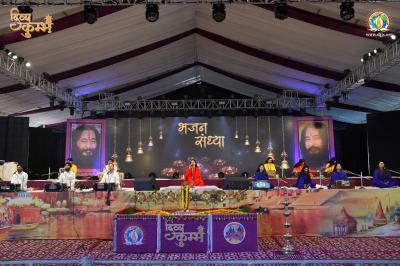 Only a Bhajan (prayer) sung with full Bhava (inner feeling) has the capability to move the lord. It is the cry of devotee with deep yearning (compassion) for the lord that forces HIM to descend. 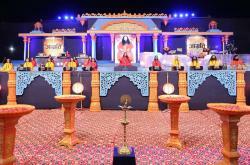 The audience was mesmerized and could be seen moved by the same. Nowadays when everyone’s life seems to be in a great turmoil all around the world and peace seems far-fetched, a Bhajan Sandhya like this fills the heart with fresh air full of divinity, tranquillity and compassion. 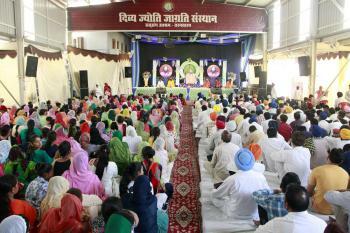 Programme was a great success as it filled the minds of the entire congregation with happiness and enthusiasm. 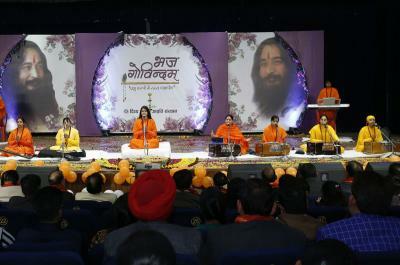 The discourses described the technique of ‘Brahm Gyan’ as the solution to connect with their Inner self and achieve that balance that one aspires for. 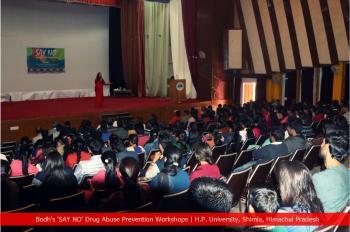 All these efforts were highly appreciated by the audience present there.